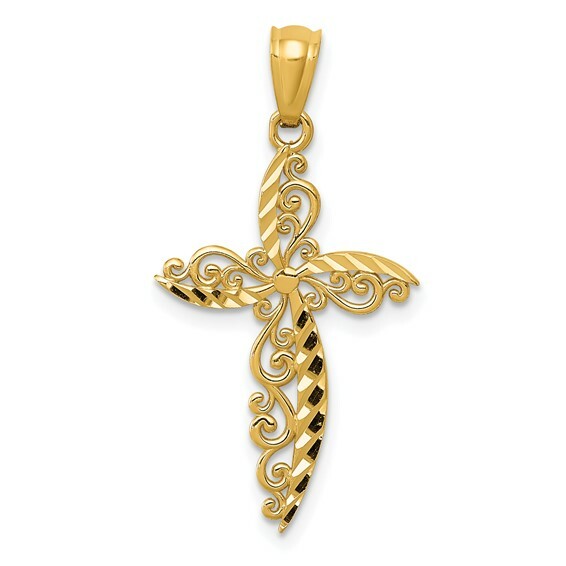 14k yellow gold cross pendant has a filigree scroll design. Item measures 5/8 inch wide by 7/8 inch tall without loop and bail. Diamond-cut. The points at the end of the Passion Cross represent the suffering of Christ at his crucifixion. Weight: 0.56 grams. Made in USA.